Is there anybody out there? In Alejandro Jenkins' case, the question refers not to whether life exists elsewhere in the universe, but whether it exists in other universes outside of our own. 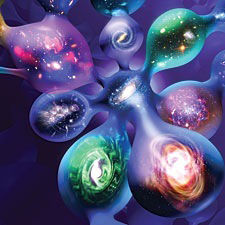 "Looking for Life in the Multiverse" can be purchased, or accessed by Scientific American subscribers, at the magazine's Web site. The January issue of the magazine is also on sale now throughout the United States. 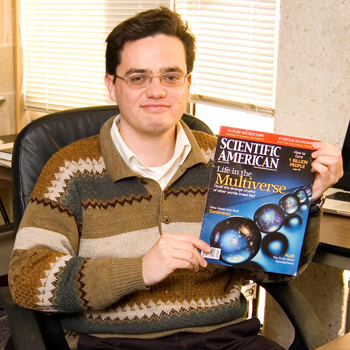 "Having an article in Scientific American is a magnificent accomplishment, but being selected for the cover story is special indeed," said Mark Riley, chairman of the Department of Physics at Florida State. "My congratulations to Dr. Jenkins and our High Energy Physics Group." "I am very proud of our research, but to be honest, I think that this had something to do with the fact that people are naturally intrigued by speculative ideas about cosmology and the 'big picture.' "The idea of parallel universes, in particular, is one that many people find exciting," Jenkins said. "The current season of (the Fox-TV comedy) 'Family Guy' recently premiered with an episode called 'Road to the Multiverse,' which was premised on the idea that one can visit other universes — although that seems impossible given what we know about physics. Nevertheless, whether other universes actually exist is a question that has consequences for our understanding of physics in this world. I think our research raises important questions in that regard." "Having an article in Scientific American is a magnificent accomplishment, but being selected for the cover story is special indeed."